Are burglar alarms really deterrents? As a business owner or manager you know securing your premises and contents against burglary is important. Official statistics show that last year 11% of all robberies were on commercial premises. A burglary doesn’t just mean loss of property, intruders cause damage on entry and can be destructive on site. You can lose many days’ work sorting out the aftermath, and insurance premiums will rise. 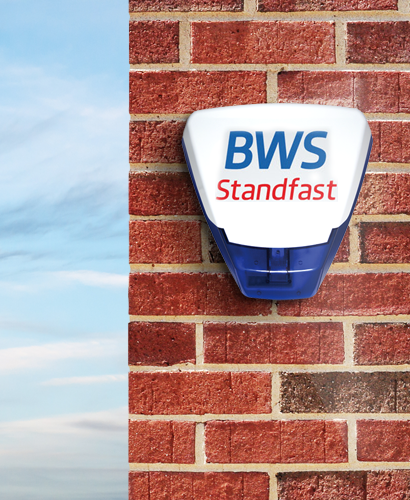 As a leading fire and security company, BWS Security offers high quality and reliable burglar alarms that provide protection for homes across the South West, including Wells, Glastonbury, Shepton Mallet. Burglar Alarm Experts: A burglar alarm that is visible to those outside your home, can often be a deterrent for those simply trying to find an easy home to get in and out. Installing a quality security system is one of the best ways to deter burglars. Businesses that operate during standard office hours are particularly vulnerable if they don’t have an alarm system, especially if they switch off lights when the premises is not in use. Criminals will generally recce an area or business type to identify those that are easiest to target. It’s much less likely your property will be targeted if you have an alarm. This is equally true where the theft is opportunistic – burglars are more likely to go to a neighbouring commercial property that hasn’t invested in a security system. A system linked to the police, or a monitoring centre, acts as a good deterrent for the more sophisticated career criminal. These will know the types of alarm systems on the market and which are more likely to lead to a quick response from the local police or a security company. If a burglar does gain entry, and trips the alarm, the loud noise means they are less likely to spend much time on site. It will be painful to remain, or uncomfortable at the very least, and it is more likely that someone will either investigate the disturbance or call the police. In turn this means the burglars will steal less of your property, won’t cause as much damage, and may be caught by the police leading to the recovery of your goods. Police always recommend you safeguard your property, including the use of burglar alarms to deter criminals and reduce crime. A security system reduces the risk of a break-in, offers peace of mind, and reduces insurance premiums. BWS Security install burglar alarms for businesses in the south west to help protect their properties and assets. With a range of alarms available, we can help you find a system that suits your needs.